Every business needs a distinct logo to establish its brand. This logo would include a unique design, the name of the company or business and an attractive tagline. For logos that are slightly out of the box and unconventional, you could take a look at fish logos. Each of the templates contains PSD Logos which can be edited to meet your requirements. Thus, corporate companies, restaurants, fishing clubs, frozen food places etc can make use of these logos. This gold fish logo is 100 % vector and that makes it completely editable. Also, the logo template would be perfect for any corporate company or organisation looking for a brand logo. Any kind of fishing club would be needing a logo to establish the brand. To create such a specialised logo, you could use this logo template. Here, you get a vector set to choose from. you can also see Swan Logo. The cribbage board present here comes in a round structure with a customised design. You will also have the liberty to add your own text here to give a personal touch to your logo. Corporate companies wishing to establish themselves as a brand to look out for should take a look at this logo. The skilled graphic design displayed here makes this template an exceptional one. This logo template would be perfect as a logo of products and other businesses as well. With this logo template, you would have the freedom to modify certain details as well as add your own. You can also see Lion Logo. 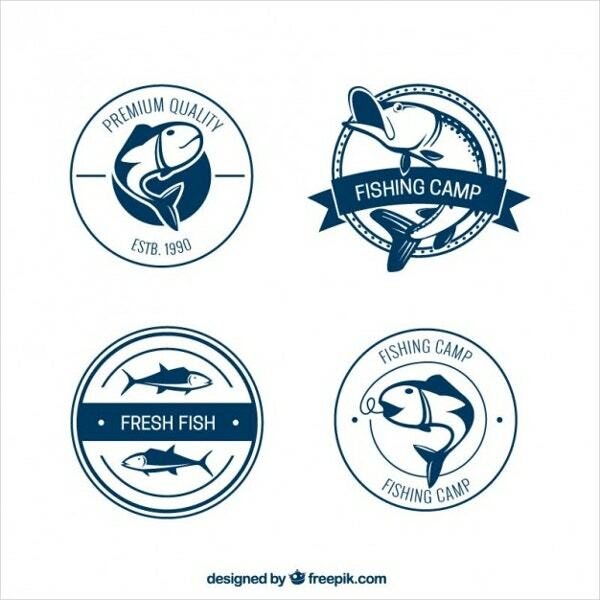 This fishing club vector logo comes in black and white which makes it look all the more attractive and stylish. Also, you get to choose from a few designs while creating your logo. This logo template would be perfect for nature lovers. The template comes in a vector format which makes it easy to use. You would be able to add your own tagline to the logo as well. An emblem needs to be stylish and sophisticated. That is exactly what this template shows. The logo template here comes in a vintage design which adds a certain elegance to it. Companies looking for unique and unconventional logos may use this template. The template comes in a standard size and would be fairly easy to use. Also, it is fully editable. Here you get two options when it comes to the colour scheme- you can choose between black and white, and colour. Also, the logo comes in EPS and AI files with a CMYK colour mode. 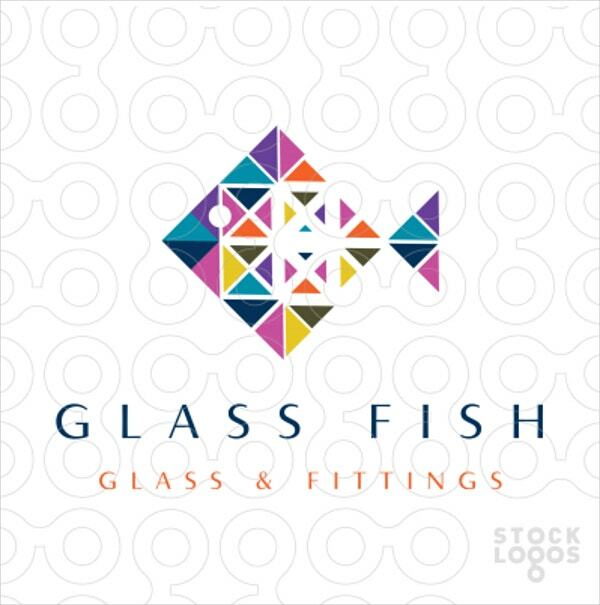 The brightly coloured fish logo would look great against a white background. You can add your own caption or tagline to the template while retaining the original logo design. Geometrical patterns would look amazing when applied to a fish logo. Since this template maintains a certain degree of professionalism, you can use this template to create logos for official purposes. This logo template has a very quirky and unusual appearance. That makes it a popular choice for fish logos. You would also be able to edit and customize the fish logo template. Blue and white create a classic combination when it comes to logos. Also, there is sufficient space for you to include the name of your company and the company tagline. This fun and playful design can be used as logos in restaurants, companies et cetera. It comes in an attractive font and includes an EPS and an AI file. Also, a help file would be provided. You can also see Bird Logo. Here you will find a number of attractive logos to choose from. Fish logos, swan logos, bird logos- these are all extremely unconventional and would definitely impress your customers and clients. All you have to do is select the right logo for yourself and then customise it to go with your brand.